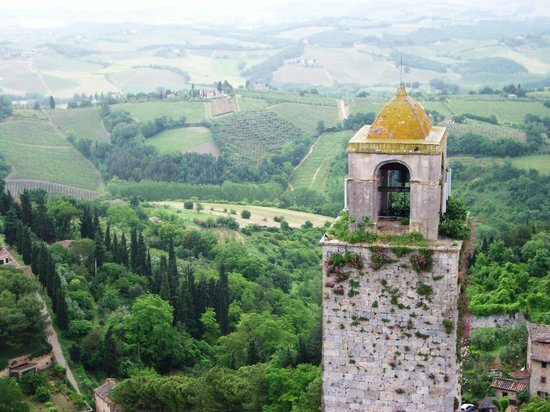 San Gimignano, known as the "city of beautiful towers," had 72 towers in its heyday. Now 14 remain, and, rising above Tuscany's Elsa Valley, they make the town look like a medieval dreamscape. Take in the fresco-covered Collegiate Church, the Civic Museum and the views from atop 177-foot Torre Grossa. Daytrippers from Florence tend to fill up the streets during the day, so for a more up-close-and-personal look at the town, spend the night.